Male nurse Greg Focker (Ben Stiller) is all set to propose to his girlfriend, Pam (Teri Polo), during a weekend at her parents’ home. But there’s a catch: Jack Byrnes (Robert De Niro), Pam’s intimidating, cat-loving, ex-CIA father, takes an immediate dislike to his daughter’s truth-bending beau. Soon, a hilarious string of outrageous mishaps turns Greg into a master of relative disaster. Meet the Parents is an uproarious comedy smash about true love conquering all, against all odds! $28.623 million on 2614 screens. Before 2000, director Jay Roach was known mainly as the guy who helmed the Austin Powers movies. That left him firmly in the second banana category, as most people thought of those flicks as Mike Myers’ babies. With the success of Meet the Parents, however, Roach was able to emerge as a success in his own right. Male nurse Greg Focker (Ben Stiller) decides to propose to his teacher girlfriend Pam Byrnes (Teri Polo). However, when her sister Debbie (Nicole DeHuff) gets engaged to “Dr. Bob” (Tom McCarthy), he learns that he needs to get the approval of her dad Jack (Robert De Niro) first, so he delays his proposal. He plans to pursue this when they attend Debbie’s wedding in two weeks. Thus starts a comedy of errors as Greg and Pam head to meet her family. Although Jack claims to be a retired rare flower dealer, he behaves in an awfully intimidating way for a person with that background. At first it seems like this simply stems from his protective nature, but we eventually learn more about Jack’s past. Along the way, various tensions escalate as Jack’s overbearing personality frustrates and irritates Greg. We also learn about Pam’s ex-fiancé Kevin (Owen Wilson), a factor that creates more pressure for Greg when this seemingly perfect guy comes as a guest at the wedding. While it takes things to extremes, Parents scores because it capitalizes on the natural humor of the situation. Almost everyone can identify with the anxiety inherent in this sort of circumstance, at least when you’re over a certain age. Obviously grade schoolers won’t connect to the topic, but even teenagers can understand the awkwardness of introducing a boyfriend or girlfriend to a parent. Or worse - being the boyfriend/girlfriend who gets introduced. That side of the equation clearly offers the most potential for awkwardness since the party involved doesn’t know what to expect. Sure, if you introduce your significant other to your parents, it’s very possible they’ll humiliate you, but at least you know their personalities in advance. The introducee has to deal with a fairly blank slate and also has more to lose, since a negative parental appraisal could put the kibosh on a relationship. Although Parents goes for the comedic side of things, enough truth remains to make it identifiable and funny. Frankly, I could have lived without Jack’s secret life and shady past. While those issues create some comic set pieces, they detract from the reality of the situation. There’s enough humor inherent in the situation that it doesn’t need this sort of goosing. Easily the best parts of the movie stem from the chemistry between De Niro and Stiller. Greg tries so hard to do the right thing and consistently fails, and Jack always makes sure to nail him on his flaws. De Niro turns Jack into the perfect “hard to impress dad”, but he doesn’t make him a beast. He’s intimidating and tough but still believable, and he keeps it clear that he acts in the best interests of his daughter, at least as he perceives them. Jack could turn into an ogre but De Niro ensures that we like him even as we fear him. Stiller also allows Greg to bumble but not to become an idiot. Most of his mistakes happen because he tries so hard to impress, not because he’s incapable or stupid. That’s where the comedy succeeds: when it takes a real situation and twists it due to Greg’s vast desire to please Pam’s parents. Stiller makes Greg likable and reasonably realistic. I wouldn’t call Meet the Parents a comedy classic, and it becomes a little too over the top by its ending. Especially during the third act, it stretches reality a bit too much and turns into something of a farce. However, enough truth remains to make the movie winning and something with which we can identify. It’s a funny and charming flick for the most part. Meet the Parents appears in an aspect ratio of approximately 1.85:1 on this single-sided, double-layered DVD; the image has been enhanced for 16X9 televisions. To my surprise, Parents offered a problematic transfer. Sharpness caused some of the concerns. Most of the movie looked acceptably well-defined, but more than a few exceptions occurred. At times the image became rather soft and muddled. Some of that appeared to result from edge enhancement, as I saw mild to moderate haloes during a lot of the flick. No issues with jagged edges or shimmering occurred, but a startling number of print flaws popped up given the movie’s modern vintage. The film often looked awfully grainy, and I noticed a mix of specks and grit at times. It never became terribly dirty, but it sure seemed messier than I expected. No significant problems came from the colors, but those elements also failed to stand out as positive. Parents went with a natural palette that remained acceptable throughout the flick. I thought the tones lacked much vivacity and could look somewhat dull, but they were usually fine. Blacks also seemed reasonably dense, but low-light shots tended to be a bit thick. They didn’t portray great definition and were somewhat too dense. Enough of the movie looked good to muster a “C”, but this was a disappointing image. Don’t expect much from the audio of Meet the Parents either. The DVD came with both Dolby Digital 5.1 and DTS 5.1 soundtracks. If either one displayed any differences, I couldn’t discern them. They both offered similar audio. Similarly low-key audio, I might add. The very definition of a “comedy mix”, the soundtrack stayed firmly located in the front. The music showed decent stereo imaging, and various environmental effects spread well across the channels. Don’t expect much life or activity, though, and the surrounds remained passive during most of the movies. A few comedic set pieces brought the rears to life in a minor way, but there wasn’t anything that created much liveliness. Audio quality was similarly mediocre. Most of the lines sounded good, but edginess occasionally interfered with the track. Effects were reasonably clean and accurate, but they did little to push the system, and they showed only decent definition. The music was reasonably bright and lively. There wasn’t anything exceptional, but the score and songs were fine. Overall, I found no significant problems with the audio, but it didn’t merit a grade above a “C”. Most of the extras on this new “Bonus Edition” of Meet the Parents also appeared on the original DVD from 2001. I’ll note fresh components with an asterisk. One cheesy change will greet you on the main menu. The DVD excitedly tells us that a company I won’t name so I don’t give them extra publicity brings the extras to us. Maybe other DVDs have been this bold in their promotion, but I can’t think of any. It’s a tacky move. We open with an audio commentary from director Jay Roach and editor Jon Poll, both of whom sit together for their running, screen-specific track. Based on prior Austin Powers commentaries, I didn’t expect a whole lot from Roach. He tended to fade into the background and didn’t tell us a ton about his movies. In a pleasant surprise, Roach proves much more informative and animated here. Okay, so he’s still pretty low-key, but he delivers a lot of useful material. The pair cover many story issues like cut sequences and alterations from the script, improvisation, pacing, and character concerns. A few other topics like casting, working with the actors, locations and sets, and general anecdotes also pop up, but story issues dominate. That makes sense given Poll’s presence; even though Roach dominates, the pairing with his editor tilts the proceedings toward storytelling concerns. A great deal of good information appears in this very solid commentary. This version of Parents includes two collections of outtakes. The first “*all-new” set runs for six minutes, 11 seconds, while the other one - which already showed up on the original DVD - goes for 11 minutes, 44 seconds. That’s a lot of outtakes, but don’t expect anything more than the usual goofs and giggles. A little of this stuff goes a long way, so these become tiresome well before they end. The package includes two deleted scenes. “Itinerary/Surf & Turd Scene” goes for 83 seconds, while “Crawlspace” lasts 118 seconds. The latter is a bit slow and tedious and wouldn’t have added much to the movie, but “Itinerary” is pretty funny; it probably should have made the final cut. Both clips can be viewed with or without commentary from Roach and Poll. They offer the appropriate info about where the scenes would have fit into the movie and why they were cut. Amusingly, Poll protests the inclusion of the sequences; he thinks they excised them for a reason and the movie should stand on its own. Roach, on the other hand, likes being able to show some bits on which they worked hard. *De Niro Unplugged takes only 93 seconds. It offers a mix of outtake and deleted scene. We watch De Niro sing at the wedding reception. It’s moderately fun to see at best. Three featurettes follow. In *The Truth About Lying, we get a look at the real-life use of polygraph machines. The six-minute and 41-second program includes remarks from licensed polygraph technician Nick Savastano as he discusses the device and how to accurately utilize it. He also addresses the film’s depiction of the issues. Despite a few too many movie clips, the show provides a tight and informative chat. Next we find *Silly Cat Tricks. It takes five minutes and 33 seconds to focus on cat training. We find notes from animal trainer Dawn Barkan as she chats about getting the felines cast in the film plus issues connected to training cats and their work on the movie set. As with “Lying”, this show goes through the necessary topics in a concise and interesting manner. Finally, *Jay Roach: A Director’s Profile runs a mere 77 seconds. It’s a bizarre compilation of shots of Roach on the set that works as a crude music video. Skip this pointless piece. While this version of Parents adds some features, it also loses a few. The most significant omission comes from the absence of an audio commentary that included Roach with actors Ben Stiller and Robert De Niro plus producer Jane Rosenthal. 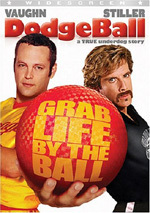 The disc also drops a “Spotlight on Location” featurette, the movie’s trailer, other ads, some games, and text components like production notes and cast/crew biographies. It doesn’t sound like most of them are any loss except for the audio commentary. Never did Meet the Parents threaten to knock me over with brilliance, but it maintained enough humor and cleverness to work. A good cast supported a fun premise to make the film mostly enjoyable. The DVD presents surprisingly drab picture and audio plus a pretty good set of extras. Despite the bland picture and sound, I like Parents enough to recommend it. The question becomes which edition to get. I don’t have the prior version from 2001, but I’d bet it presents similar picture and audio. The main difference likely stems from the supplements. Both discs include very similar components, but the old platter gets the edge because it presents a second audio commentary. Some of this one’s elements are nice, but I’d take an extra audio commentary over some outtakes and a few featurettes almost any day. I think the old set is now out of print, but it’s worth getting if you can find it.